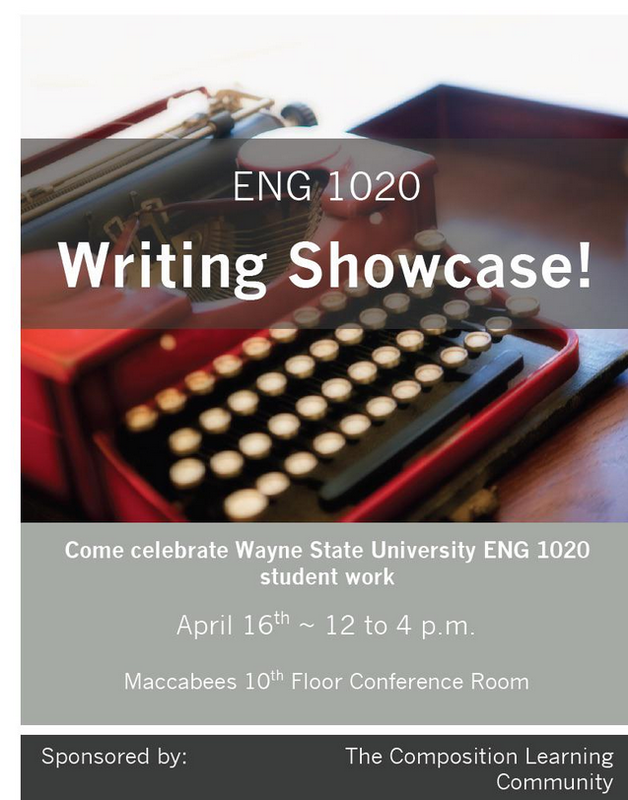 Students participating in this semester’s Composition Learning Communities will present their work as part of a Writing Showcase on Friday, April 16 in the 10th Floor Conference Room. Full details available after the jump. This entry was posted in Composition Learning Communities. Bookmark the permalink.